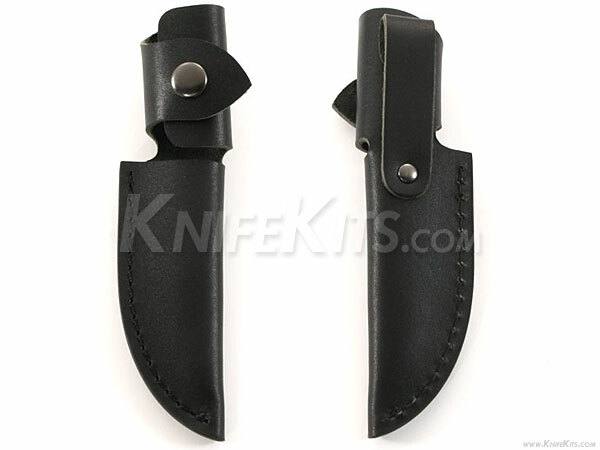 This is an excellent quality leather knife sheath. It will fit blades up to 4 inches. 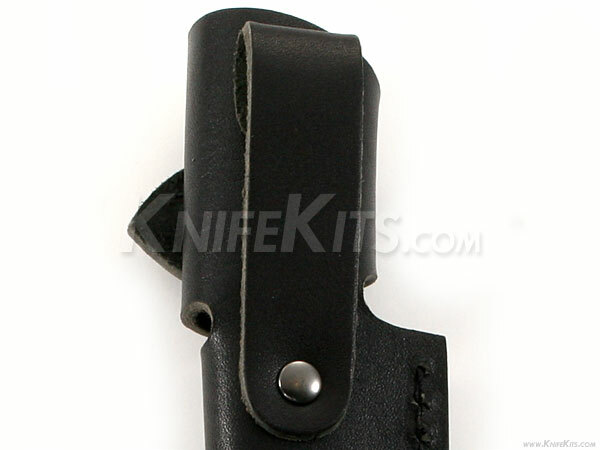 This sheath will fit a belt up to 2-1/4 inches and has quality stitching, sewn welting, riveted belt loop strap and a smooth outer finish on front and back. 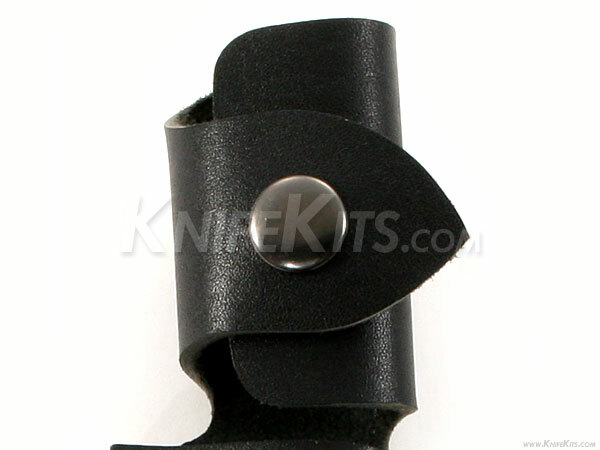 It also features a snap-system retainer that will securely hold your knife in place by the guard or available handle retention point. Don't be fooled by the low price. This is a very nice sheath!